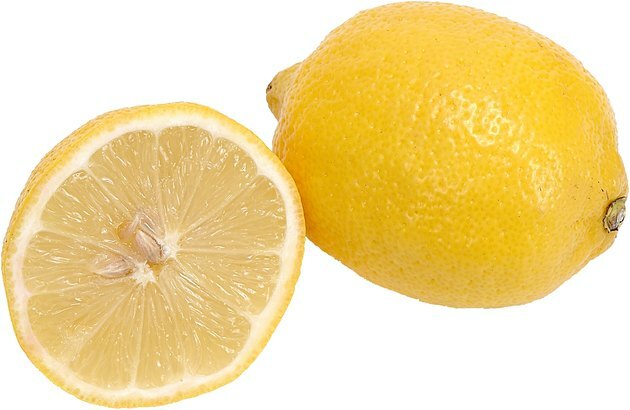 Lemons have a strong, astringent smell that clears the air of disagreeable odors while imparting a fresh citrus aroma. A lemon air freshener performs even better when mixed into a solution with baking soda. Add to a spray bottle or cotton balls to project the pleasant lemon aroma into each room of your home. 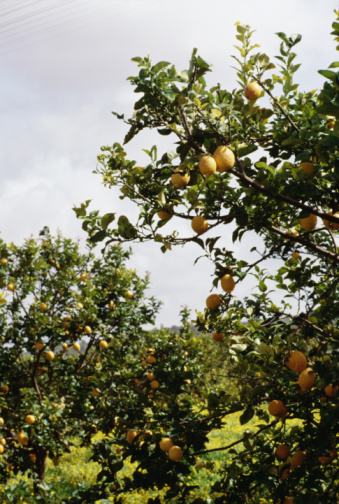 Lemons have the potential to replace bad odors with the aroma of citrus. Wash the outside of the lemon rind thoroughly under running water and cut the lemon into quarters. Place 2 cups of water into a pot on the stovetop and add the lemon quarters. Heat the pot of water and lemon quarters. Remove the pot from the stove after it reaches a roiling boil and allow it to completely cool. Strain the lemon solution through a fine strainer into a bowl. Stir ½ cup of baking soda into the strained lemon solution and mix with a kitchen wisk until it completely dissolves. Allow the solution to cool. Pour the cooled lemon juice and baking soda solution into a spray bottle. Spray the solution into the air in each room throughout the house as needed.